Home TV Show ‘Trip’ Chaea & Jaesuk take a friendship tour in Malaysia! 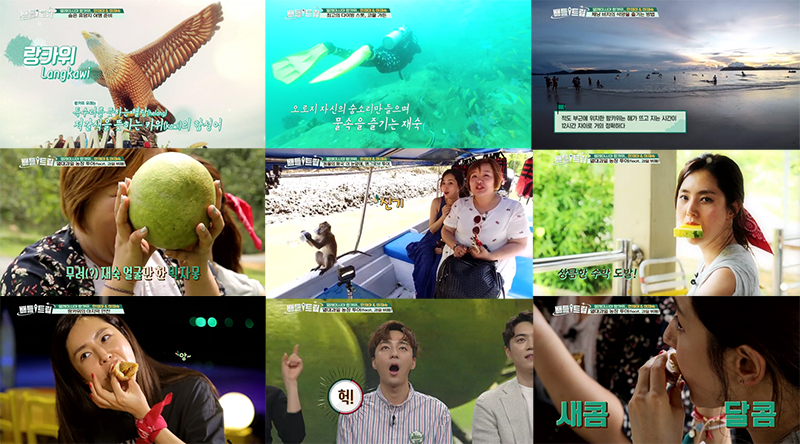 This week’s ‘Battle Trip’ stars Han Chaea and Han Jaesuk. Chaea and Jaesuk decide to visit a lesser-known travel destination. In fact, some of the most beautiful places in the world are lesser known and lesser talked about. They introduce to us Malaysia‘s secret treasure, Langkawi. On their first night in Langkawi, they enjoy discounted fresh beer during happy hour. Those who love beer should pay some attention here! The next day, they go out for Langkawi Mangrove Tour. They experience some truly unforgettable sights on this tour. Don’t miss out on Chaea and Jaesuk‘s friendship tour!